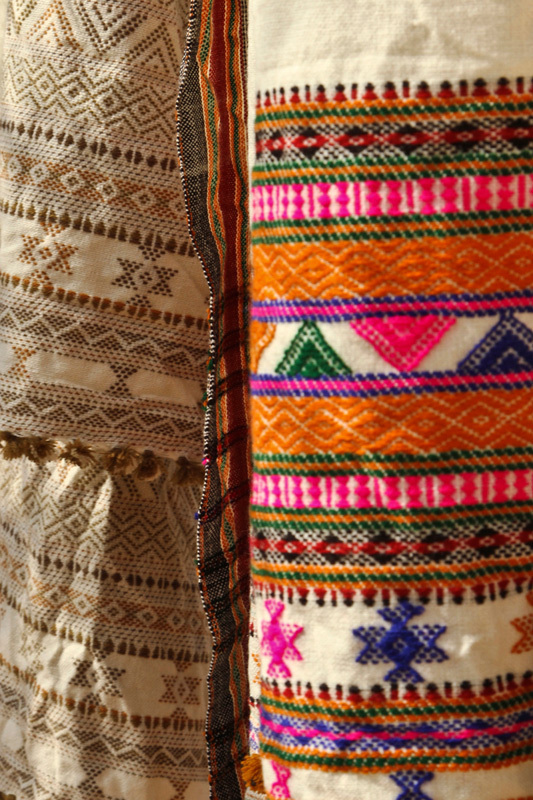 The distinct styles of dressing and decorations which distinguishes one community from others also speak about the artisans behind the decorative clothes. 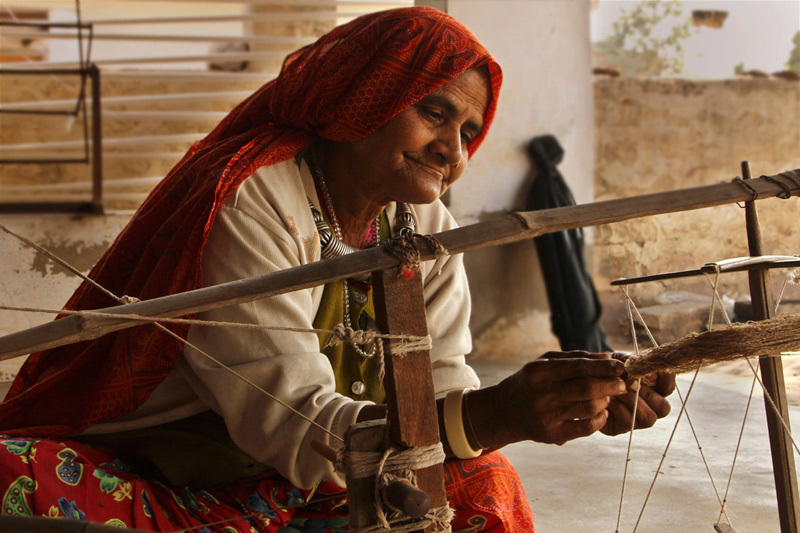 Gujarat is known for the abundance of crafts and their craftsmen with the products of local ingenuity. Rann Utsav is observed in the month of December and January and many artisans participate in it which happens in the Kutch district of Gujarat. Craftsmen from different parts exhibit their products during the Utsav. 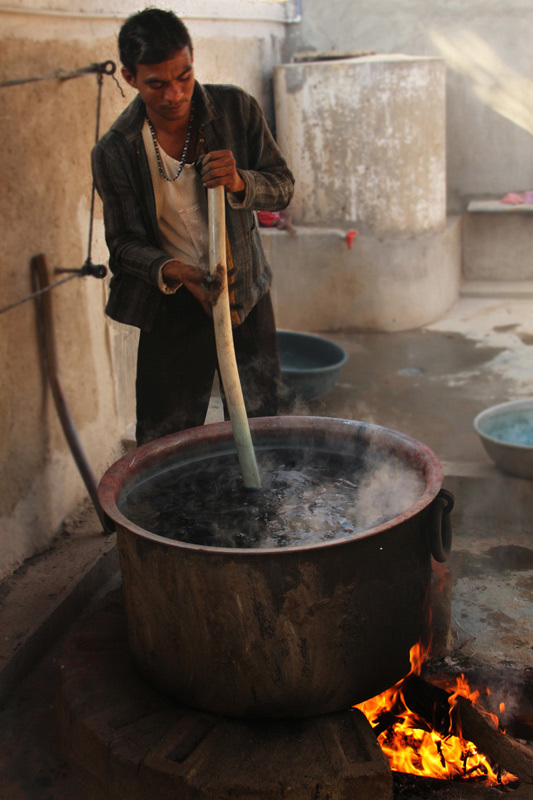 Bhujodi is the major textile center which is about 8 km from southeast of Bhuj, Gujarat. Bhuj is a walled city which is the headquarters of Kutch district. In Bhujodi village off-white and coloured yarns are spread by the group of people on their streets adjacent to the veranda/courtyard where each group works to feed their loom for weaving. Each family in Bhujodi is having more than two loom either weaving for the local purpose or for commercial. In the morning itself, the whole village is active in the making of Bhujodi products. 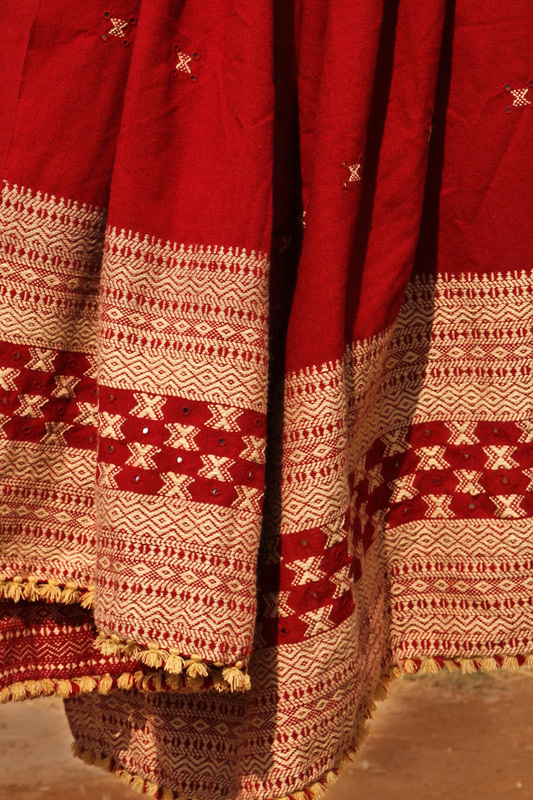 People of Bhujodi are the Vankars or weavers, the Mughal migrants who had migrated from Rajasthan about 500 years ago, to weave the woolen veil cloths and coarse woolen blanket for the Rabari community. 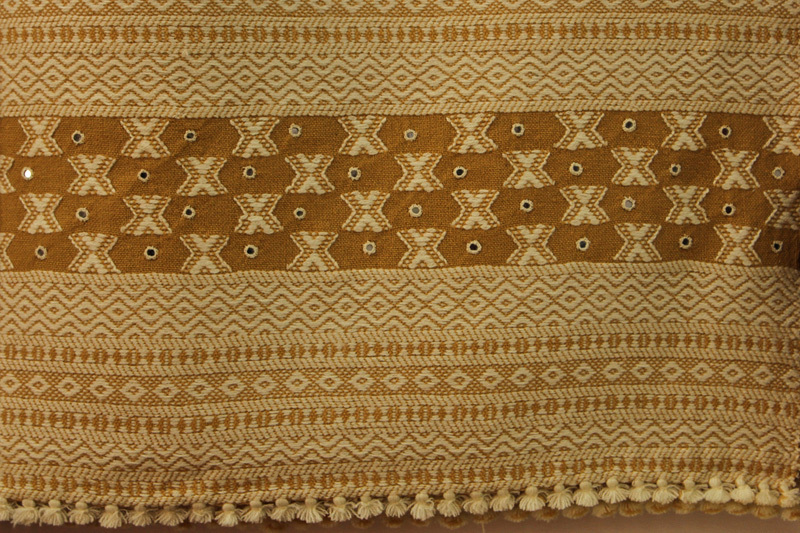 There are about 1200 people working in the production of textile craft.